Last year, the government approved 3,518 decrees to grant tax exemptions under laws for export of services and regulations of international financial institutions, as well as those that reduced taxes paid by doctors or that exempt high-income individuals that move to the island from paying contributions. According to Governor Ricardo Rosselló Nevares, in 2018 –not considering the year María hit the island- these new business promotion initiatives and the dynamism of the Department of Economic Development and Commerce of Puerto Rico (DDEC, Spanish acronym) in processing these agreements, contributed to double the number of authorizations to companies dedicated to the export of services and manufacturing projects. In 2018, about 2,096 of all the decrees granted by the DDEC were for medical professionals, equivalent to six out of ten decrees, according to official data. “Hay un poco de todo, pero ciertamente, la efectividad en la actividad de promoción que se ha hecho, los instrumentos que se han validado y se han creado en el DDEC –como el Portal Único de Negocios–, los cambios en política pública y el compromiso de ejecutar sobre todo ello, son la razón por la que vemos todas estas cosas”, dijo Rosselló Nevares cuando El Nuevo Día preguntó acerca de los factores que explican la ola de decretos. When El Nuevo Día asked governor Rosselló Nevares about the factors that explain the wave of decrees, he said that there is a bit of everything, but certainly, “effectiveness in the promotion of the activity, the instruments that have been validated and created in the DDEC - such as the Single Business Portal - changes in public policy and the commitment to execute on all this”, are the reason that explain all this. However, the number of decrees granted last year could show a different picture now that Rosselló Nevares will file a new bill to adopt the Incentive Code for Puerto Rico. This would be the second attempt by the governor and DDEC secretary Manuel Laboy to measure and standardize the way in which public funds are evaluated and invested in different economic sectors. The expectation is to generate greater economic activity by injecting money directly into a company or granting a tax exemption, and this will result in the retention of jobs and the creation of new ones. 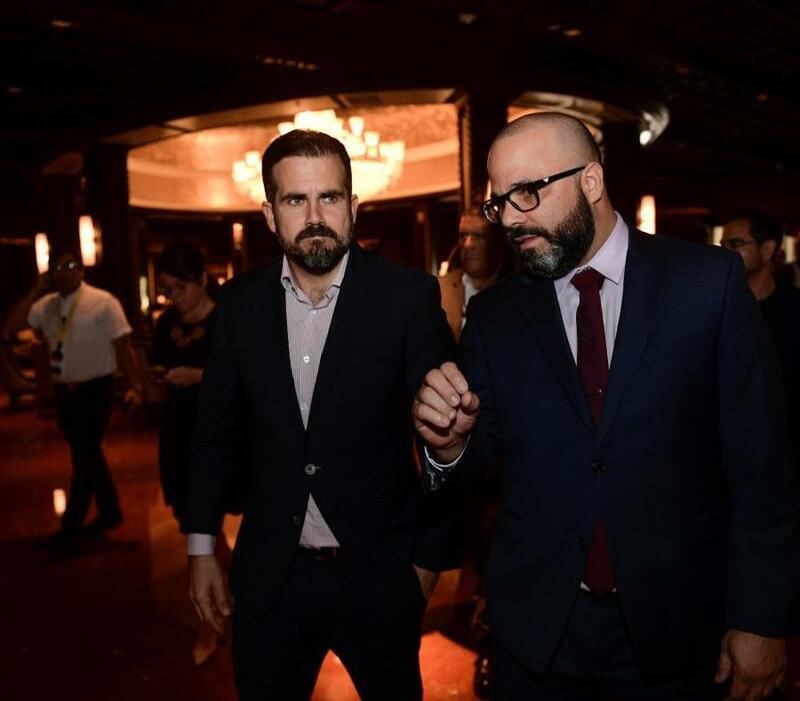 Neither Rosselló Nevares nor Laboy specified when the new version of the Incentive Code bill will go to the Legislature. However, Rosselló Nevares did explain that with this initiative, Puerto Rico will have the opportunity to clearly know how taxpayers' money is invested and this, in turn, becomes a reference for companies or individuals that seek to invest in the most suitable jurisdictions. "When you shoot in the dark, and in part this applies to the Incentive Code, you usually miss the target more times than the ones you hit it. But I see that now, with these instruments, the new markets we are attracting and that make Puerto Rico a destination, and the Incentive Code, is not that there will not be mistakes, it is that we will have an instrument to see the result of our actions, to give them continuity, to adjust to an economic world that changes rapidly," said the governor. Last year, Rosselló Nevares based his tax reform bill in modifying a plethora of laws that grant incentives, credits and other treatments to local and international companies based on the island. But back then, the public and legislative debate seemed to focus on the incentive laws that would be eliminated and on how the so-called tax reform would be financed. According to Laboy, those technical concerns that arose last year were corrected and, besides they introduced new changes that respond to the profile of companies and individuals that now knock on the DDEC doors intending to settle on the island. Laboy explained that in last year individuals and firms linked to financial services (such as Fintech), blockchain and cryptocurrencies were interested in investing in Puerto Rico. Laboy said that more than 147 out of the 800 requests for decrees that reached the DDEC last year were related to technology and management companies aimed at offering financial services solutions. One of the changes in the Incentive Code, said Laboy, is an adjustment of the language of eligible financial activities to include cryptocurrencies in the definition of alternative assets. According to Laboy, companies such as HoneyWell, Pratt & Whitney and HP have expanded the diversity of their operations by signing into new decrees, thanks to amendments that facilitate the development of shared services operations. But also, according to the head of the DDEC, bicultural and bilingual skills of the island´s human resources have allowed Puerto Rico to also begin to host relatively less sophisticated, but labor-intensive activities, such as customer service call centers. Only in that niche, last year some 4,000 jobs were created, the official said. For Laboy, the increase in contributory decrees comes thanks to a DDEC new software solution - which allows to request permits to settle on the island and benefits from incentive laws at the same time - and also thanks to the creation of a commission to promote blockchain and the new promotional tool, Invest Puerto Rico. There are multiple channels in Puerto Rico to promote private activities, both for individuals and companies. On some occasions, although the Treasury has been in a difficult situation for more than a decade, the government invests granting liquidity. This is the case of reimbursements to individuals or companies that buy renewable energy equipment or when the government contributes with a part of the salaries in sectors such as agriculture or hospitals. In other cases, the government invests by allowing a beneficiary to take a credit for what he must pay in taxes and it is also common for the tax rate to be paid, to be reduced or even, to be exempted, from taxes on certain activities or profits up to a certain cap. According to Laboy, although in the last few years there were different studies, it has not been until now that they developed a consistent method to have accurate information on the cost of government promoted activities. "We look at the best practices from the perspective of the taxpayer," said Laboy, noting that the incentive evaluation method was developed with the support of V2A and PricewaterhouseCoopers. In short, the method to know how effective government investment is will consist of certain variables, such as how much money will circulate in the economy -which includes companies and households- and how much revenue the Treasury receives against the income the Treasury will stop receiving for promoting certain economic activities. The analysis of these variables will result in a cost-benefit ratio. The ideal option would be for Puerto Rico to recover every dollar granted to an economic sector and, in addition, receive returns on that investment. Every year, Puerto Rico grants $600 million to different activities. According to Rosselló Nevares, there will always be public investment that cannot be measured in dollars and cents because they respond to social purposes. This would be the case of agriculture, where the benefit focuses on strengthening the capacity of local companies to substitute food imports. As for doctors, according to the governor, the goal is for them to provide services on the island. According to the methodology adopted by DDEC, there are certain activities that promote the economy to receive each dollar invested by the state. This is the case of tourism when it comes to cruisers, certain manufacturing incentives and Puerto Rican companies that export their services or products to foreign markets. On the opposite side, the government invests too much in relation to what it gets. According to the DDEC, incentives to the film industry, incentives to control the price of milk, subsidies for salaries in hospitals and in the agricultural sector, as well as the funds disbursed for renewable energy projects, and the promotion of the re-development of urban centers are on that list. To questions from El Nuevo Día about regarding how much money the Treasury does not receive for promoting all these activities, Rosselló Nevares and Laboy did not offer precise answers. However, experts in public investment performance in business activities explained to this newspaper that, when analyzing the nearly 70 incentive laws and special treatments granted by Puerto Rico each year, the balance is negative for the Treasury by between $ 2 million to $ 3.5 million per year.